You have waxed and polished your vehicle, removed stains and odors and looked after the upholstery and leather. Now it's time to tackle the shine of your tires. Nothing gets noticed more quickly after waxing than your glossy tires. Nanoskin Hyper Dress produces the highest shine possible on tires and exterior rubber and plastic trim. HYPER DRESS can be diluted with water up to 4:1 to adjust the level of shine. By using unique “Polymer Matrix” emulsifier, HYPER DRESS is durable and reduces centrifugal sling-of on vertical surfaces, leaving no streaks or surface haze. Its water-based formula provides the same durability and “wet look” typically associated with solvent-based dressings. Dressings & Protectants Nanoskin Hyper Dress is the choice for professionals or end-users looking for a high performance dressing which can be used in any silicone sensitive environment. 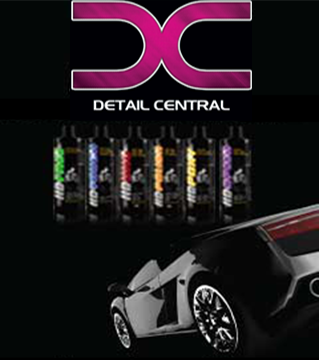 Its VOC compliant water based formula produces an incredibly deep, rich high gloss shine. By using advanced polymer, it provides long-lasting UV absorber and actually repels water each time you clean your car. Dilute up to four to one, varying the gloss from high to satin. One product, multiple uses...vinyl, rubber, tire, plastic, leather, wood and stone.